Could be a number of things, first thing to check is TCP/IP is not disabled, to check run netstat see if you find localhost 1433 or something like 192.168.1.1, 1433. Do 'telnet localhost 1433' see if it fails, if so TCP/IP is not open. Check Charlie's post on this he explains how to turn it on. He also details how to create a SQL Server User for use with your CF data source. 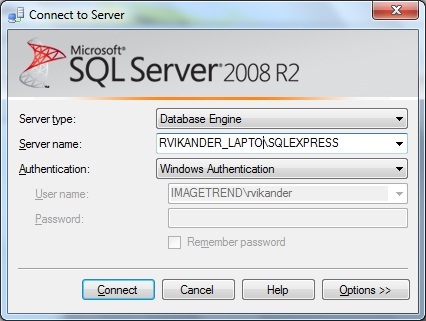 You don't need at add a sql server user if you are using sql server 2008. Just use windows authentication and it works fine. Thanks a lot for ur post . i had suffered a lot because of this problem but finally solved only due to ur post. This is the second time I've needed these instructions! Thanks for taking the time to document this process. Keep posting in coldfusion. It really helps.